It’s the third period of the 2011 Stanley Cup Finals pitting the Boston Bruins against the Vancouver Canucks. You’re in control. Does history repeat itself with the Bruins being victorious or do the Canucks pull off the win and turn rioting into celebrating? 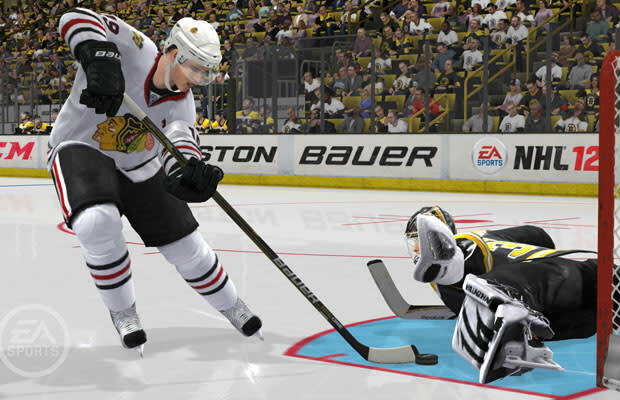 On August 23, you’ll be able to play through that scenario in the demo of NHL 12. You’ll have three weeks before the game launches on September 13 to play through the demo’s three modes: Play Now, Be a Pro and Hockey Ultimate Team. The demo will be available on both the Xbox 360 and PlayStation 3. Game on!